This was a super fun painting project that turned out some really cool art! 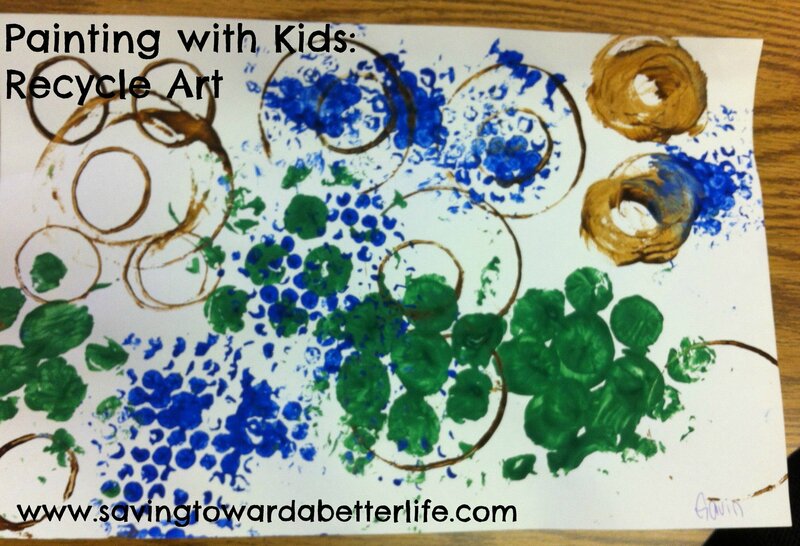 I love when I tell my preschoolers we’re going to paint with something besides paintbrushes. They look at me like I’m crazy! We were doing a unit on recycling/taking care of the earth. 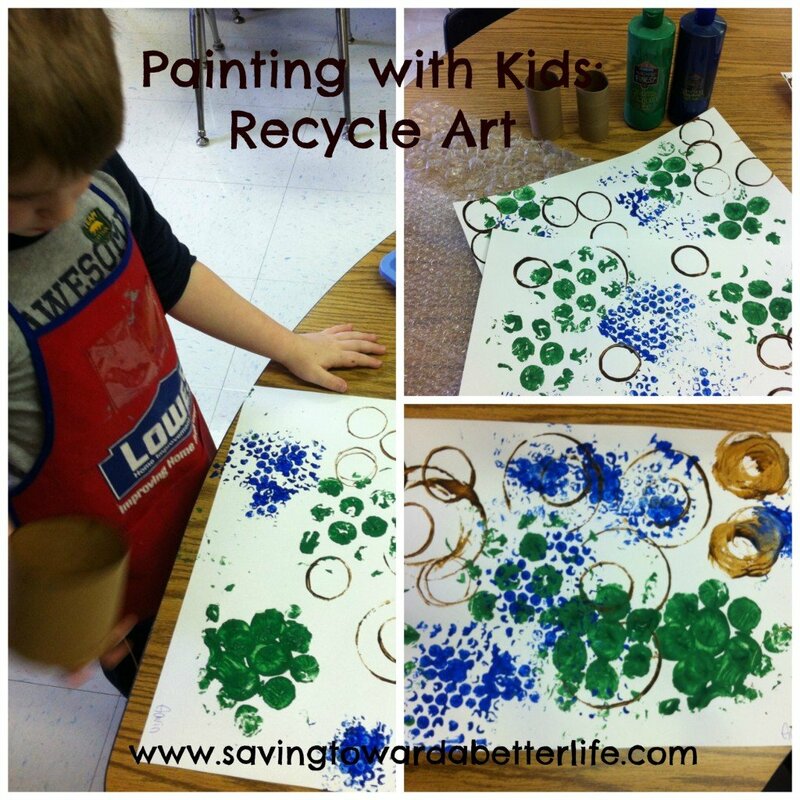 So we painted with TRASH! I used two sizes of bubble wrap – small bubbles are in blue and the big fat puffy bubbles are in green. I just cut them in small squares. And I used toilet paper rolls and a canister with a lipped bottom edge (like an oatmeal canister) dipped in brown for the big circles that you see. I picked blue, green and brown for a reason – Earth colors! I’m currently brainstorming for other good “trash” to paint with next time. What would you try? Next post: Issac Mizrahi Sunglasses + 2 pairs of Earrings $8.98 shipped!